The Grand Hôtel-Dieu, a former hospital, is the largest private renovation project ever to have been carried out on a historic monument in France. It is opening its doors to locals and tourists after a four-year construction period. The Grand Hôtel-Dieu lies at the heart of a UNESCO World Heritage Site and includes courtyards and gardens with restaurants, shops and offices. 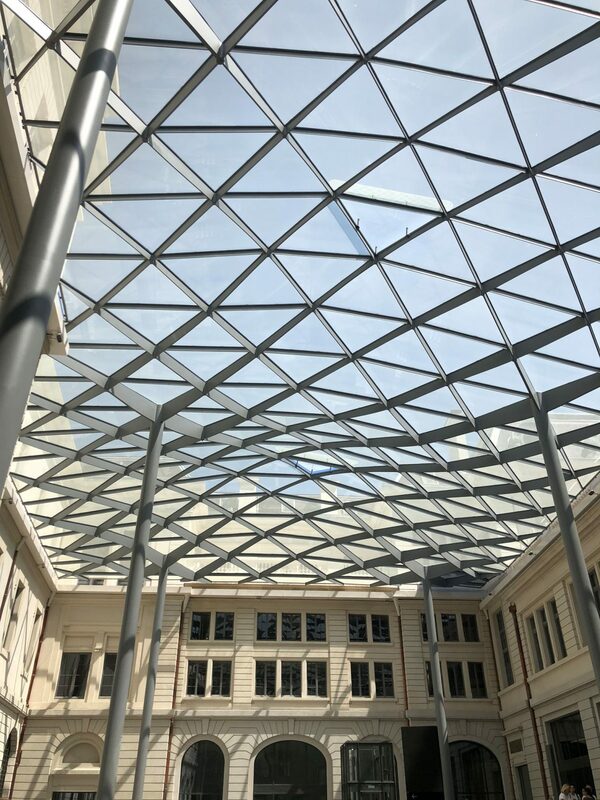 During the course of the renovation work, the atrium of the Grand Hôtel-Dieu was topped with a floating steel and glass roof consisting of free-form triangular mesh. The roof structure consists of approximately 400 triangular glass panes and is about 16 inches further back than the surrounding courtyard facades to ensure natural ventilation of the atrium. The panes of laminated safety glass are screen printed with dots for light control. 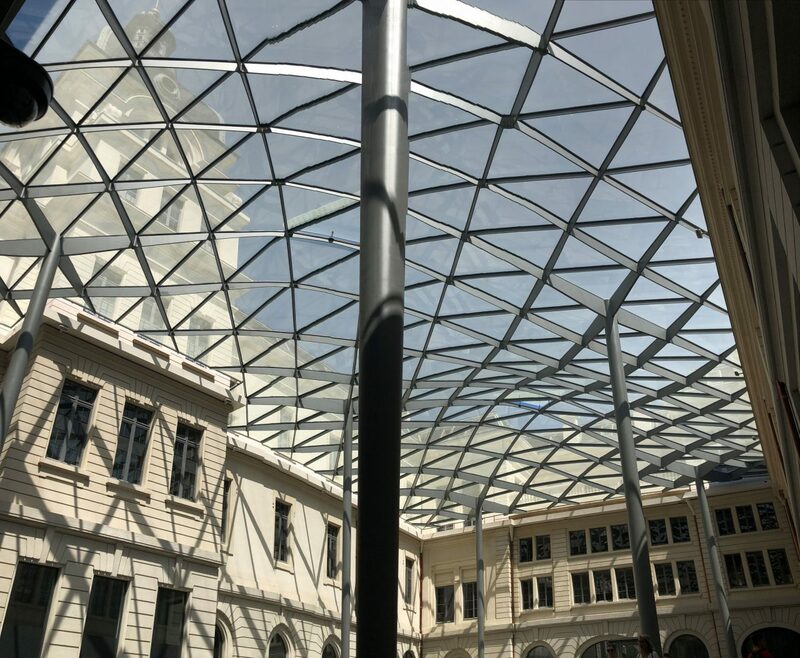 The double-curved glass roof has a maximum pitch of 2%. With an area of 10,825 square feet and a weight of 264,555 pounds, the glass roof rests on six steel posts with a diameter of 20 inches.